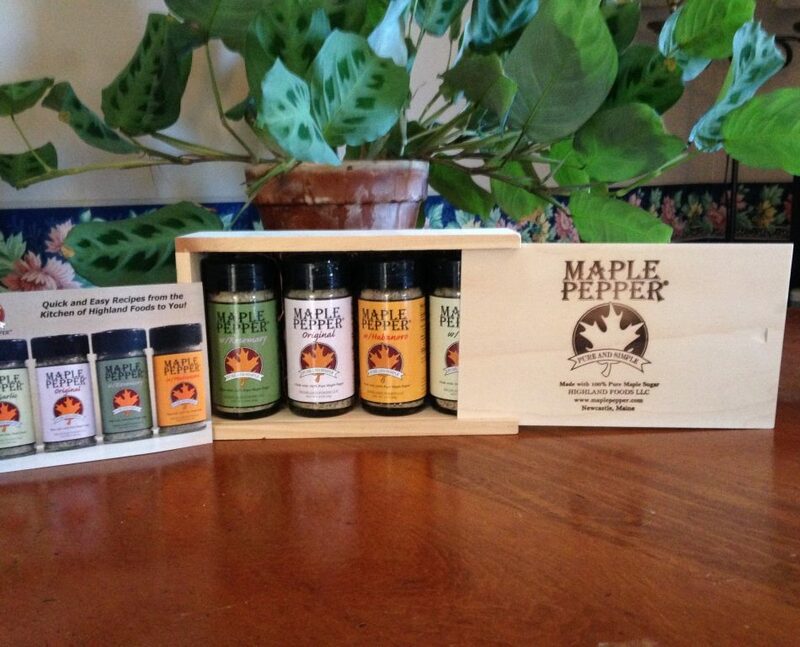 Highland Foods, LLC is the proud maker of Maple Pepper® Brand Seasoning. Our products are made with 100% pure maple sugar – savory with a touch of sweetness. Product production is in small batches to maintain freshness, quality and flavor. 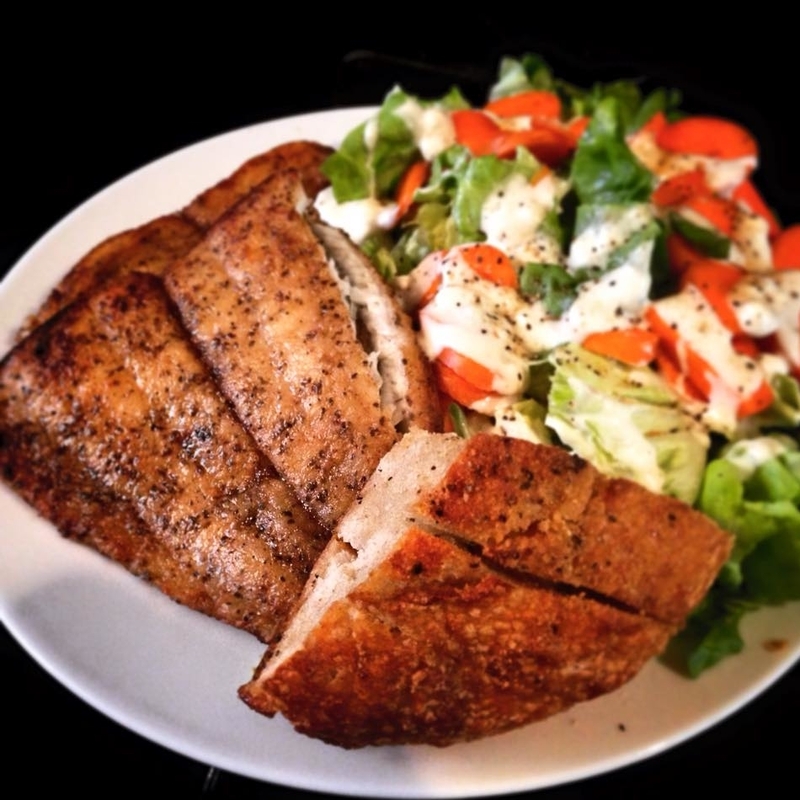 Maple Pepper®​ Brand Seasoning is pure and simple. Try it once. You’ll come back for more! 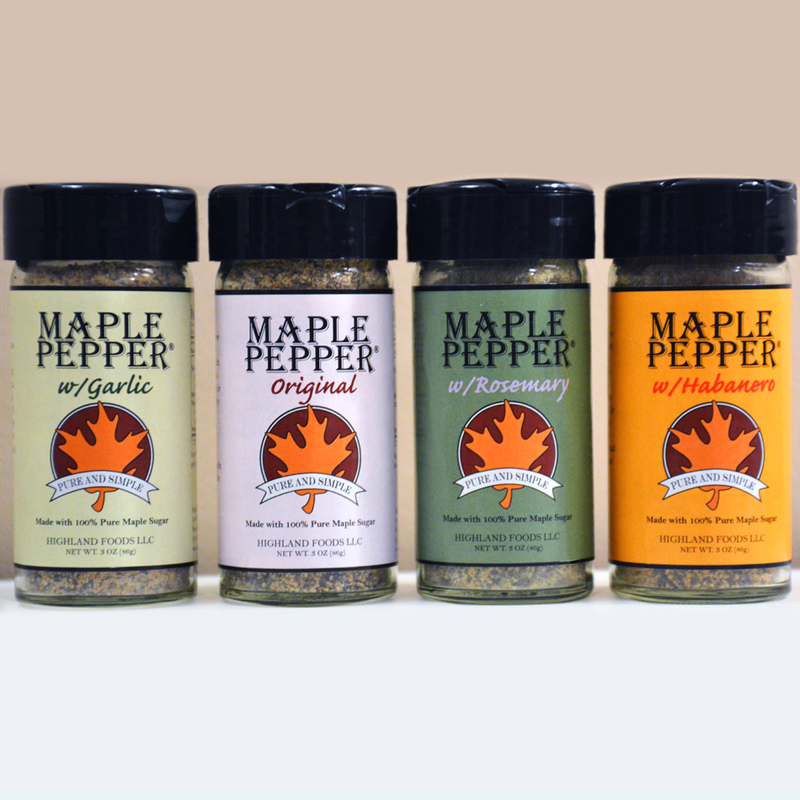 Our seasoning comes in four flavors: Maple Pepper® Original, Maple Pepper® w/Habanero, Maple Pepper® w/Garlic, and Maple Pepper® w/Rosemary. Products are available in four convenient packaging types: 3 oz. glass jar, 1 pound bag, and 1 and 2 pound pour and shakes. 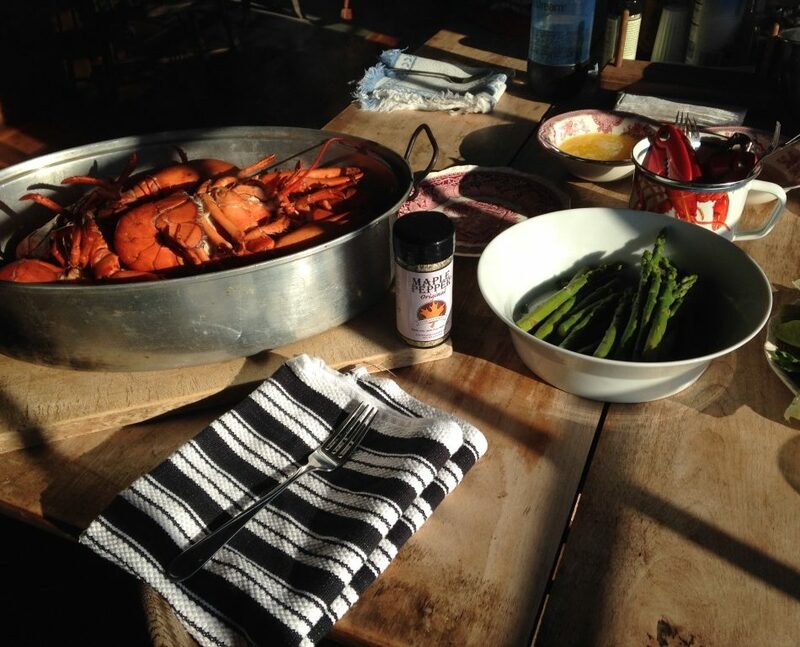 We will package larger sized orders upon request for restaurant use, as a bulk ingredient in other specialty foods such as smoked seafoods, gravlox, and gourmet popcorn, etc. Here are a few stores that carry our products.